Geschrieben von Johannes Koelbl am 9. Oktober 2018 . Veröffentlicht in News, Travel Blog Indien. Constantly stuck between, “Home behind and the world ahead” and “Home is where we have to gather grace”? We have the perfect way to provide you with an extravagant experience of an international carnival while enjoying the warmth of home. Antaragni brings to you the International Carnival: a taste of Europe in your very own platter of Kanpur. Enjoy the internationally acclaimed artists, not far from home. 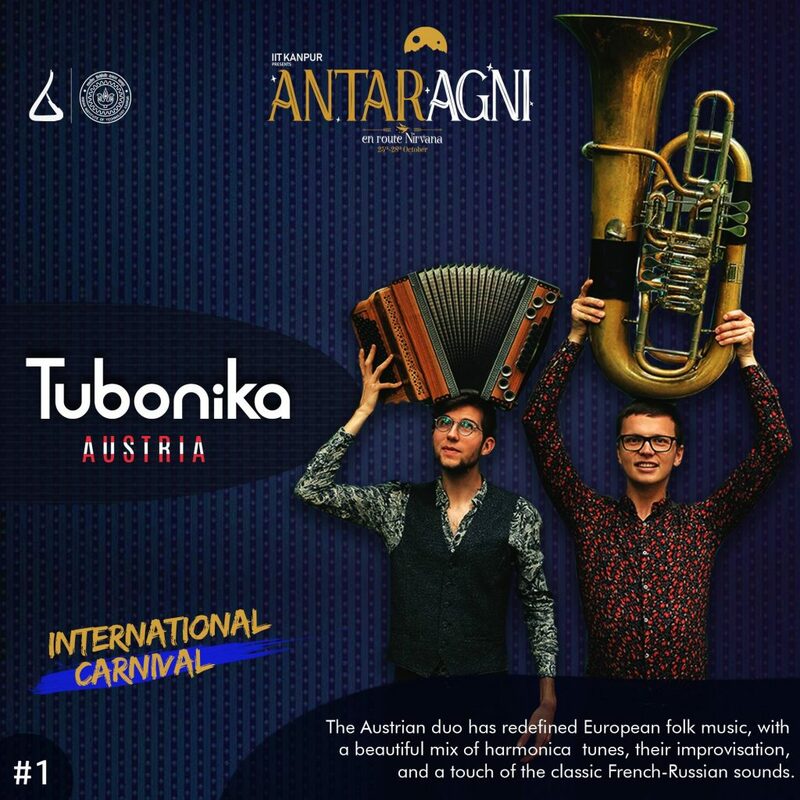 Featuring Tubonika from Austria, Antaragni welcomes you to be a part of this grandeur.